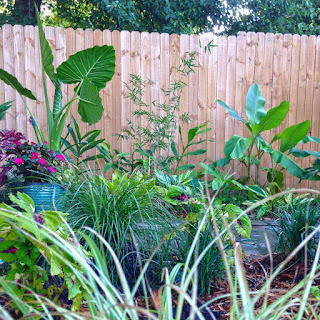 Whether you're in a record-breaking drought or just a gap between rainy days, it pays to give your plants a little help on hot days. 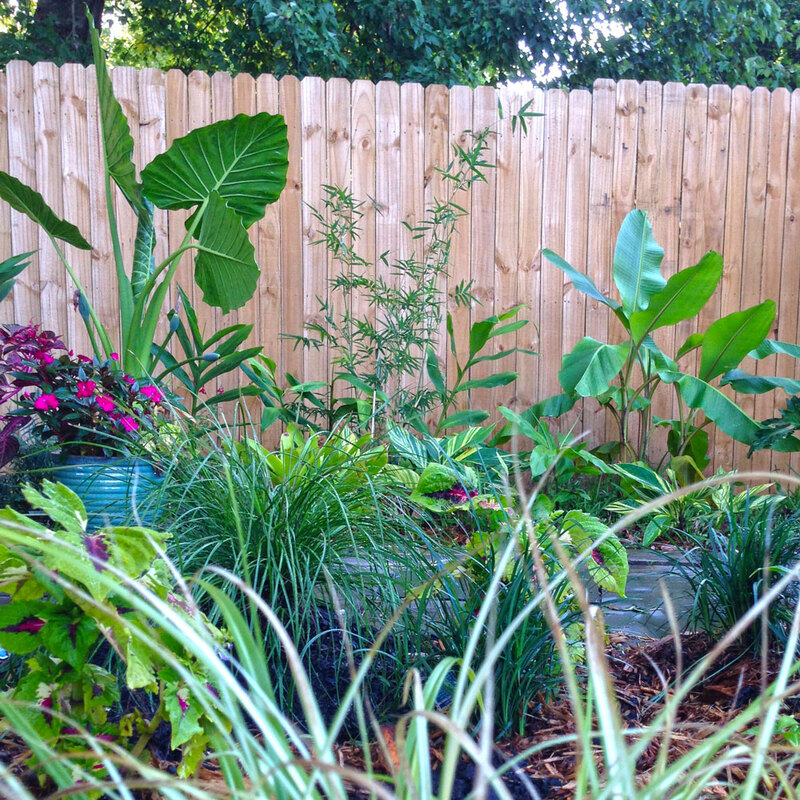 The best thing to do is grow plants that don't need irrigation, but even drought-tolerant plants need help getting established. Some plants just need to be relocated to another, more moist, part of the garden. To prevent the evaporation of moisture and to reduce competition from sprouting weeds, add a three-inch layer of mulch to your soil. Water plants in the morning so that it has a chance to reach the roots before evaporating, and try to water the soil rather than the foliage since plants can't drink water through their leaves. Duh! 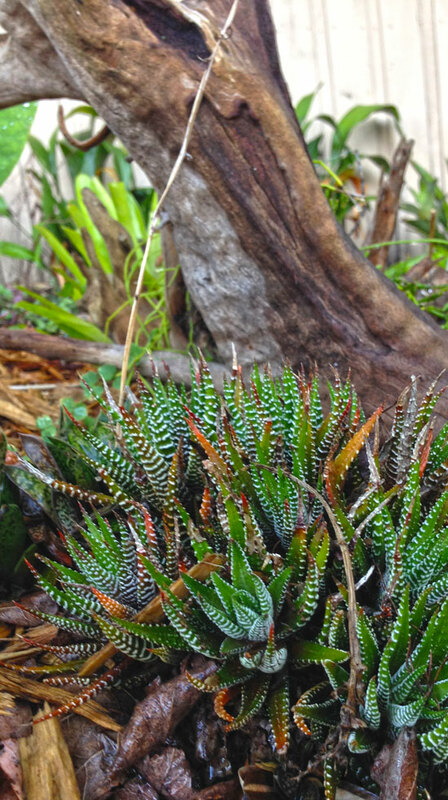 Succulents like this Haworthia take drought in stride. 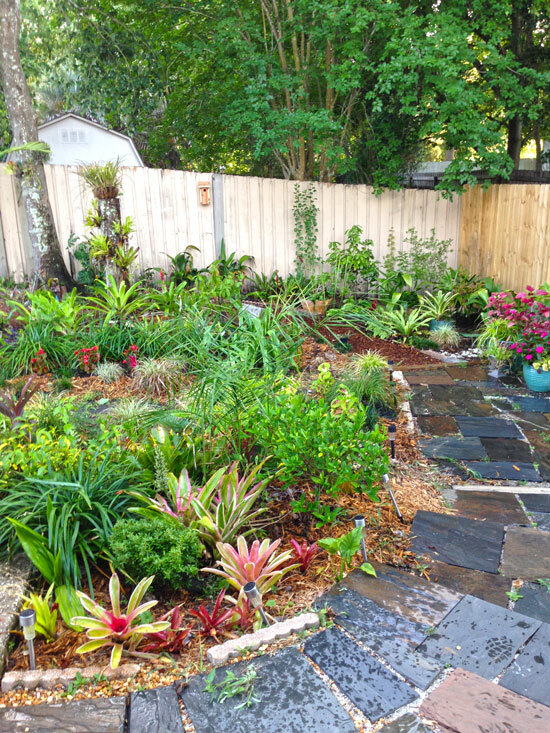 It has finally rained here in my northeast Florida neighborhood, and I'm happy to see that my lawn, gingers and native shrubs have perked up again. It still wasn't enough to truly wet the soil though, so I'm still watering my thirsty wild coffee and flame azalea plants by hand every two days. Yes, they are natives, but not all natives are drought-tolerant! Repeat after me: The patio/deck/lawn/balcony is not a dumping ground. It's a living area and should be kept swept clean and picked up the same way that you would treat a room of your house. Arrange the outdoor room in a way that is both inviting and practical, furnishing it with a table and chairs, shelves and occasional seating. Shade it with umbrellas, a pergola or awnings to make the space bearable on a hot day, and make sure that you always go outside with a cool drink in hand. If the patio is dirty, rent a pressure washer; and if the deck is faded, give it a facelift. I really need to sweep out there. That said, my own patio could use some picking up right now, especially since my thirteen-month old son plays there every day and loves to move things around. There are cobwebs on the wall and grass clippings scattered about in clumps. I know my wife is reading this, so hopefully I've rectified this by the time she looks outside or sees my son come inside with his overalls covered in cut grass and cobwebs. This Cryptanthus is easy to dig up in winter, grow as a houseplant and replant in spring. 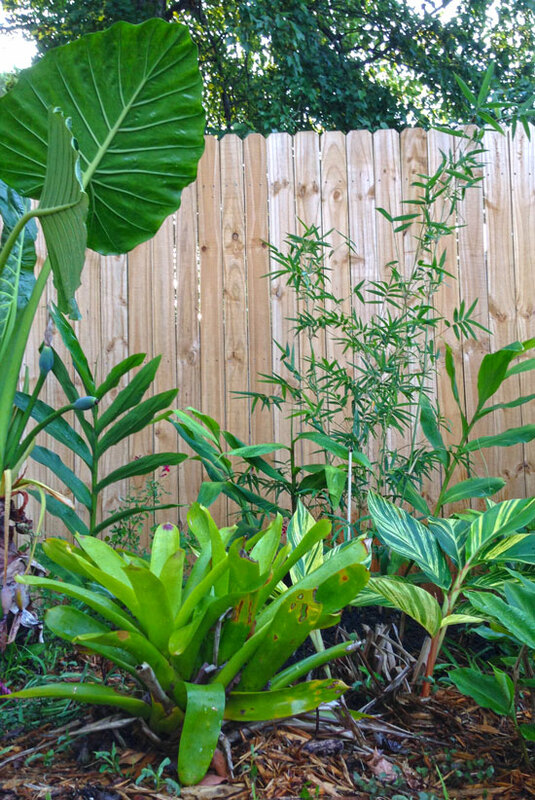 Even if you're one of the majority who lives in a decidedly un-tropical area, you can still grow tropical plants outdoors whenever frost isn't an issue - because they love the heat. Bring potted houseplants outdoors to a shady spot for a a summer vacation, plant tropical bulbs and dig them up before the first frost, or just grow tropical flowers as annuals and save the seeds. Great edibles for the summer garden include sweet potato vine, hot peppers, cherry tomatoes, yardlong beans and okra, though many other veggies will do well with a little afternoon shade. If you want something that's edible and really tropical looking, head to the grocery store and pick up some organic turmeric, ginger and taro roots and plant them as summer bulbs. 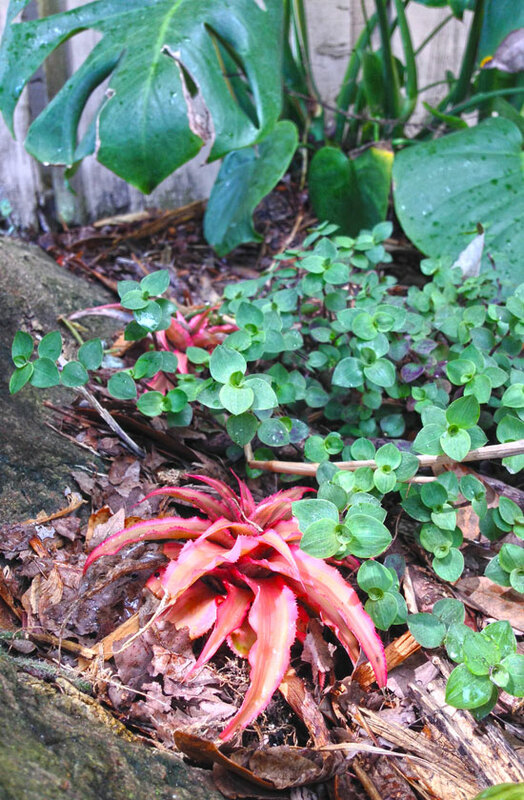 The bromeliad, elephant ear and gingers pictured can all be dug up in winter as houseplants or bulbs, respectively. 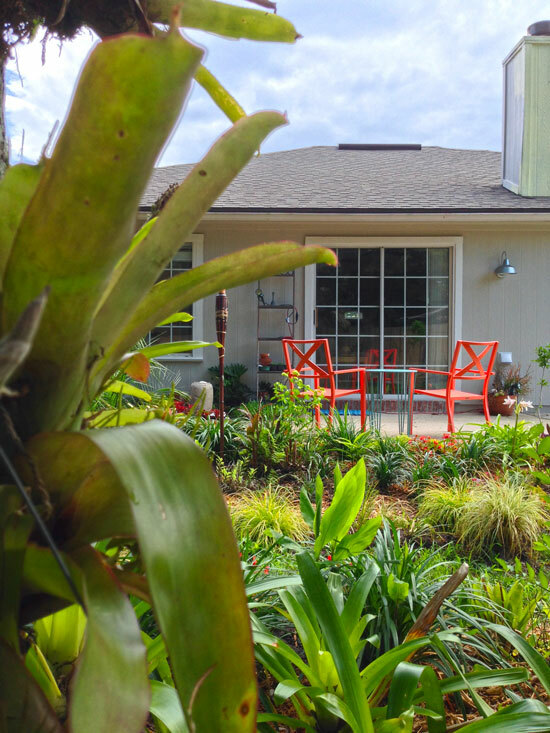 Even though winter temps here reach 20 degrees in winter, my garden is chock-full of tropicals: Bromeliads, palms, aroids, bananas, gingers... you name it. I've actually been quite surprised by what has actually survived winters here, such as; a starfruit seedling, devil's backbone (Euphorbia tithymaloides 'Variegatus'), peacock plant (Calathea zebrina) and earth star bromeliads (Cyptanthus species). Even my Peperomia, Rhipsalis and Epiphyllum plants survived! Some of the tropicals look pretty sad in winter, so I was sure to plant lots of structural evergreen shrubs and groundcovers to keep the show going. 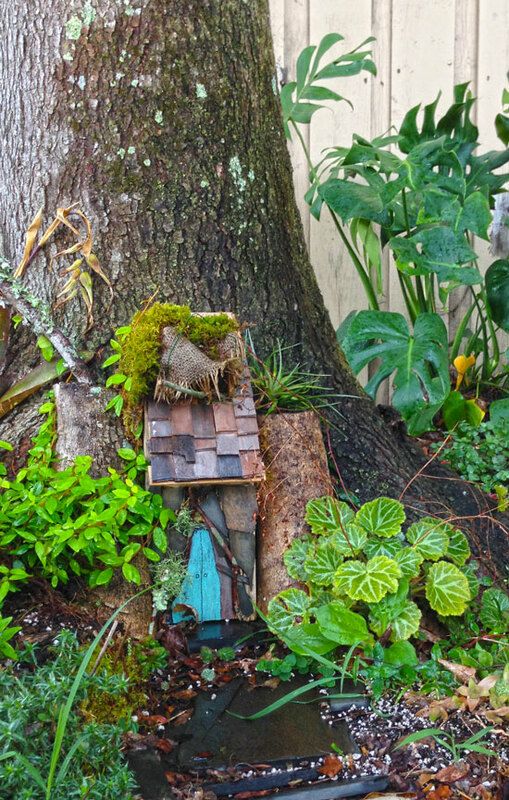 A few weeds nearly ruin the effect of this little fairy door at the foot of a maple tree. It may be hot out, but you'll probably notice that lots of weeds are are still perfectly content to flourish in the sweltering sun. The trick is to casually pull them without giving it much though, much like you would pick up toys from the living room floor. Okay, maybe that reference only applies to parents like myself. Still, persistence pays off. Mulch is also worthwhile, if only because it keeps weed seeds from getting a foothold and sprouting. There is no reason to use chemicals or even natural remedies if you're willing to work a little. Buy a good mattock (like a pickaxe for weeds) and use it to chop away at stubborn weeds and yank them out beneath the roots. Simply put, all you need to do is mulch and mattock. 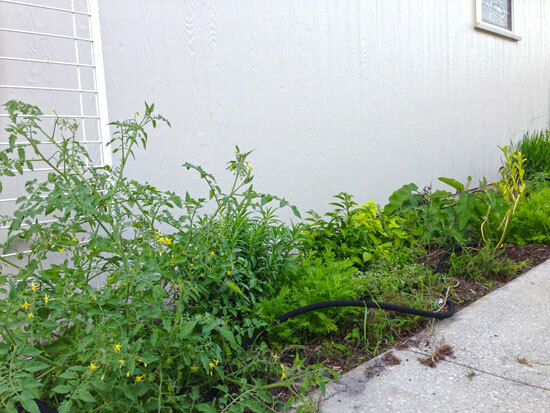 The more plants, the less room for weeds! The fight against weeds has been a constant one in my two-year old garden, especially since that's all that grew there before we moved in. However, that mattock that I mentioned has been a huge help since it can remove weeds that I can't even budge by hand. I have bought a lot of mulch since moving in, but the more plants spread, the less mulch I need. 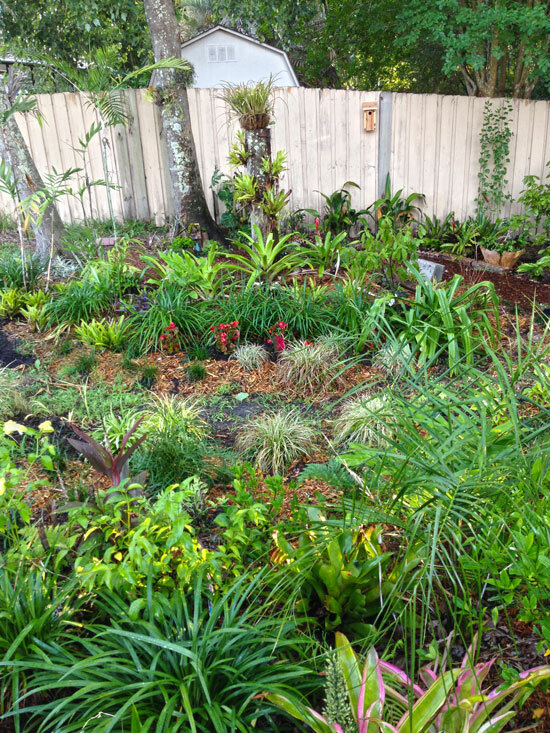 There are areas in my garden that no longer get weeds because the assortment of plants growing there has become a living mulch. If you need a fast-growing plant that will shade out weeds in a large area this summer, plant sweet potato vine. It shades the soil and you get free sweet potatoes! Here I've given the lawn straight boundaries to simplify mowing. Mowing and string-trimming doesn't have to be a chore. 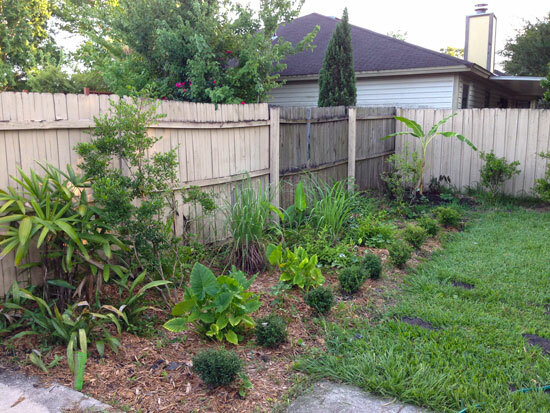 Eliminate hard-to-mow corners of the lawn by replacing them with low-maintenance garden beds, mulch or pavers. Simplify the outline of your lawn so that mowing can be done with minimal effort, and consider adding a 'mowing strip' of bricks or pavers on the lawn's edge to keep grass from encroaching upon beds and to simplify edging chores. Use topsoil to fill holes and bumps in the lawn so that you get an even cut and eliminate trip hazards all at once. This area under the trees was impossible to mow, so I turned it into a mulched path. 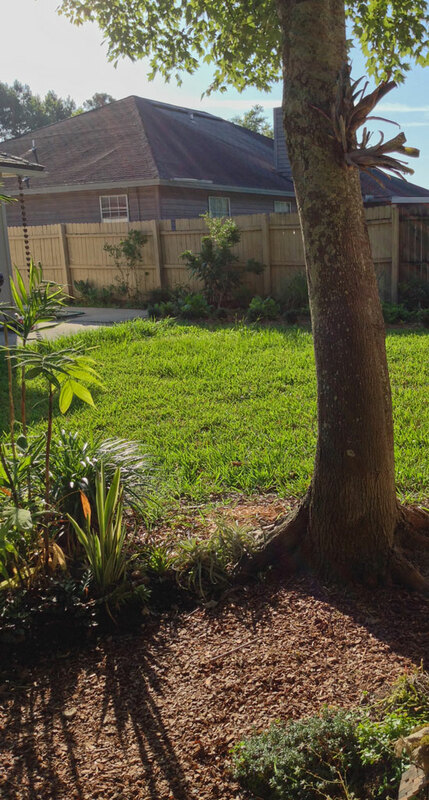 My own back yard was an impossible mess of shallow roots, awkward corners and places that were too shady for grass to grow, so I chose the sunniest and most level part of my yard and created a simple, square lawn there; planting gardens everywhere else. Now it only takes me several minutes to mow with my Troy-Bilt Neighborhood Rider, and it will still be a breeze when I step down to a self-propelled pushmower. There's still a remaining grassy/weedy patch on the other side of my yard, but it will eventually get replaced by a path to the spigot, gardens and eventually an outdoor shower to help me clean off after yard work.